Chester Arthur Burnett (June 10, 1910 ? January 10, 1976), known as Howlin' Wolf, was an influential American blues singer, guitarist and harmonica player. With a booming voice and looming physical presence, Burnett is commonly ranked among the leading performers in electric blues; musician and critic Cub Koda declared, "no one could match Howlin' Wolf for the singular ability to rock the house down to the foundation while simultaneously scaring its patrons out of its wits. 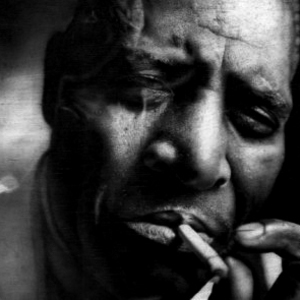 With a booming voice and looming physical presence, Burnett is commonly ranked among the leading performers in electric blues; musician and critic Cub Koda declared, "no one could match Howlin' Wolf for the singular ability to rock the house down to the foundation while simultaneously scaring its patrons out of its wits." A number of songs written or popularized by Burnett?such as "Smokestack Lightnin'", "Back Door Man", "Killing Floor" and "Spoonful"?have become blues and blues rock standards. Burnett died at Hines VA Hospital in Hines, Illinois on January 10, 1976 and was buried in Oak Ridge Cemetery, Hillside, Cook County, Illinois in a plot in Section 18, on the east side of the road. His large gravestone, allegedly purchased by Eric Clapton, has an image of a guitar and harmonica etched into it. The Howlin' Wolf Memorial Blues Festival is held each year in West Point, Mississippi. Wolf's Juke Joint Jam is another annual Howlin' Wolf tribute festival held in West Point. Some of the artists who have played 'Wolf Jam' include Wolf's lead guitarist Hubert Sumlin, Muddy Waters' back band of Willie "Big Eyes" Smith, Calvin "Fuzz" Jones and "Steady Rollin" Bob Margolin, Willie King, Blind Mississippi Morris, Kenny Brown, Burnside Exploration, etc. The festival is held at the 500-acre (2.0 km2) festival grounds known as Waverly Waters Resort. A popular music venue in New Orleans, Louisiana was named The Howlin' Wolf when it opened in 1988.